Here is what Lillian had to say when we talked to her. Lillian N: I am the first of four biological siblings; I have two sisters and one brother. My mother also supported three orphan cousins in addition to the four of us and we grew up with them as siblings; spending most of our childhood and adolescence years together. Our father was killed during the Milton Obote political regime; I was only six years old and our mother raised us as a single parent. She is a trained nurse but didn’t earn enough money to pay for me to pursue a degree course at the university. Lillian N: My formal educational attainment is a Diploma level certificate. Lillian N: I have two educational goals; first to obtain a degree in community health and become a trained community health worker, and then later, attain a master’s degree in Public Health to enable me to train as a community health specialist and professional, able to plan, design, implement and evaluate health interventions. Lillian N: My goal is to work as a coordinator for rural based programs in community based health care in the next fours years. After attaining more experience I hope to manage community based health care services across health programs to include nutrition, family planning and infectious diseases, particularly HIV and other sexually transmitted diseases. Lillian N: Funding from this sponsorship will go towards my tuition to enable me obtain a Bachelors degree in Community Health. After that I will be able to earn more money and it will be easier to find employment so I can contribute to the health care of my community. In spite of my limited resources, I have always made use of every learning opportunity to better myself. I am a good candidate because I believe I will be able to put this opportunity to maximum use and I will work hard, like I have done in the past, to succeed. Lillian N: I have two challenges to share; they are both about my work. First of all, in the past I have worked with particularly competitive people. While, I appreciate that competition is healthy, I sometimes found it unhealthy and antagonistic. I talked to my colleagues and helped them realize that working, as a team instead of working against each other, would yield better results. Secondly, there were times at work when my organization shifted work priorities and I felt overwhelmed. During such times I would re-prioritize my work, reorganize my schedule and mobilize my colleagues .to make sure we still met our goals. I am interested in working with people to solve their issues. I am interested in supporting local initiatives, and I like being part of social health research. My areas of interest are nutrition, infectious diseases, and family planning. I enjoy watching “action” movies, listening to gospel and traveling. In the past, ASSET has found it challenging to attract female applicants demonstrating the potential for success fitting with its mission. A lot of this was mainly due to the organization’s own weaknesses in building local networks in Uganda and lacking an efficient system of follow up. However, the setting up of a Ugandan field office along with a competent admin team has changed all that. ASSET is now proud to present to you its first in a long line of female scholarship beneficiaries. 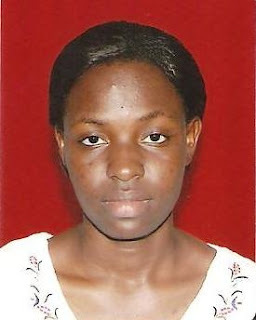 Monicah N. is 24 years of age and is currently pursuing a Bachelor of Economics and Management degree at Uganda Christian University – Mukono, Uganda. She is currently in her second year and is performing exceptionally well in her studies. We had a conversation with Monicah and this is what she had to say. Monicah N: I am the first born out of six children. My grandmother brought me up because my parents didn’t have the means. When she died I went to live with my parents. They depend on farming activities for the little income they have. Most of the farming however is on a subsistence level. Monicah N: I would like to successfully complete my bachelor’s degree and after working for some time, go on to pursue a Masters degree in Economics. Monicah N: I would like to work in the banking, Non-Government Organization or public sector. I am interesting in policy and finance related work. Monicah N: The scholarship will help with tuition and lodging and enable me to complete my bachelors and acquire the skills I need to pursue this career path. Monicah N: I think I am a good candidate for the ASSET scholarship because am a determined, hardworking and committed student. ASSET: Provide an estimate of the financing you need to get back on the path to completing your study program. Monicah N: When my father stopped working, I was in my senior three, completing my “O” level was a very big struggle but I worked very hard. I attended all the classes and consulted my teachers for help in areas where I felt weak. I also attended both morning and evening preps to do my personal reading and formed a discussion group of five people. My group met regularly to discuss various subjects. I trusted in God and was able to perform very well. Because of this, I was given a full bursary for my “A” level. In addition to studying, I used to go to my home village, in the countryside, every holiday and while there I would harvest different fruits to sell in the market; with the money I got I was able to have pocket money and also to buy books, pens and other necessities for boarding school. Monicah N: I am interested in singing, watching movies, traveling, and reading novels but in my free time I enjoy singing worship songs. Exactly one month ago, a new staff member joined the ASSET team to fill the position of Administrative Assistant in the Ugandan office. Alex will be responsible for coordinating all operations in the Ugandan office including face-to-face interviews with applicants, background checks, relationship management between ASSET and the institutions attended by its beneficiaries and financial management as well as overseeing all activities pertaining to the “Bead to Read” program. Alex has several years of experience in sales and front office management, accounting, secretarial and office administration. We have every bit of confidence in her abilities. Regular readers of this blog may be familiar with our “Bead to Read” program but for those who are new to the site, let me give you some background. purchase beads, made from recycled paper by women in Uganda, specifically those from low income and low education backgrounds, to give as ‘thank you’ gifts to donors in the US who have donated at least $10 to the organization in order to encourage donations. Until recently, these beads were delivered plain. Now however, thanks to the creativity of the ASSET team, they come with a tag bearing some facts about the state of higher education in Africa as well as some information about ASSET and the “Bead to Read” program. Take a look.